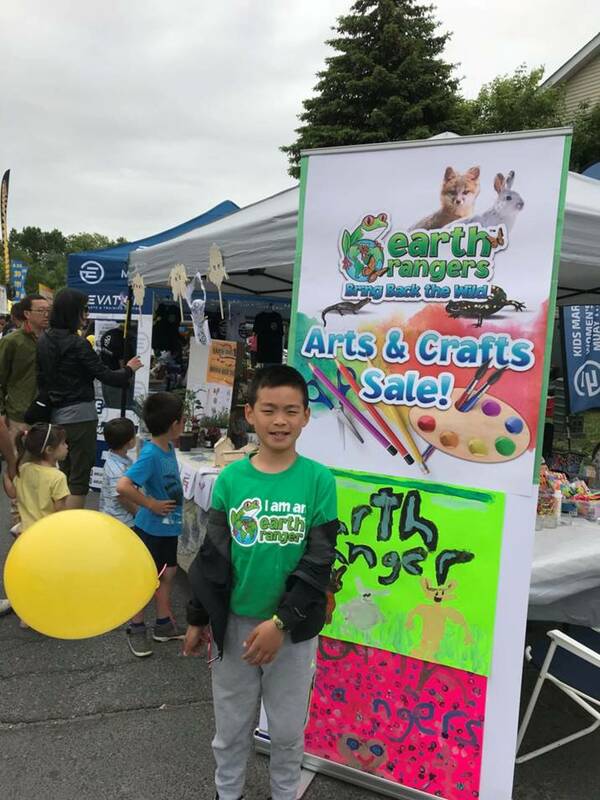 Take Ranger Haorui from Unionville Ontario, who rented a booth at the Unionville Festival and along with his friends Lucas and Breanna, sold arts and crafts throughout the weekend. Together they raised $250 for the Gray Fox! As a result of our support, NCC was able to remove invasive species like garlic mustard from all five of their properties on Pelee Island. Controlling invasive species like garlic mustard is important for forests and other native habitat types, as these plants can push out native wildflowers and trees, which means there is less food and habitat for insects. This creates a chain reaction all through the food web – all the way up to mammals, like gray foxes.